It appears as though some early adopters of the 21” iMacs, which were released earlier this week, have been noticing that their devices were assembled in the United States rather than in China, according to Fortune 2.0. If you have purchased an Apple product recently, you’re probably all too familiar with the words “Designed by Apple in California” stencilled somewhere on the packaging, usually on one of the many pamphlets tucked away inside. 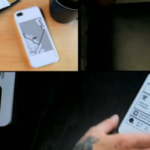 The location of the assembly of your device, however, is slightly less easy to find, and is usually printed somewhere on the box your device came in. An example of the “Designed by Apple in California” text which greets you as soon as you open the box of most Apple products. 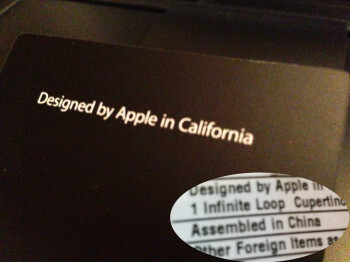 The “Assembled in China” was located on the outside of my MacBook Pro box. In the past, we’ve generally only seen “Assembled in USA” printed on customized iMacs, not the baseline units purchased in store. We’re still seeing models which were assembled in China, although it appears as though some of the manufacturing has been moved to the USA. As early as 2002, much of Apple’s manufacturing was done in the USA. Apple had an iMac manufacturing plant in Elk Grove, California, about a two hour drive North-East of Cupertino, which now serves as a West Coast distribution centre. Relatively inexpensive labour overseas, combined with the financial difficulties Apple was experiencing in the early 2000’s, spurred the company’s movement away from home bound assembly. It’s interesting to note that this news comes less than a month after iPhone 5 shortages were being reported by Foxconn, the China based manufacturer responsible for the assembly of a variety of Apple products. Is Apple beginning to reconsider the benefits associated with cheap labour overseas, or is this just a one-time example of Apple building their products closer to home?